In Germany, a British band, Janus, who were re-writing the rules of progressive music, by combining ear-shattering rock with classical and flamenco music, were the first band to be signed to Harvest in Germany. 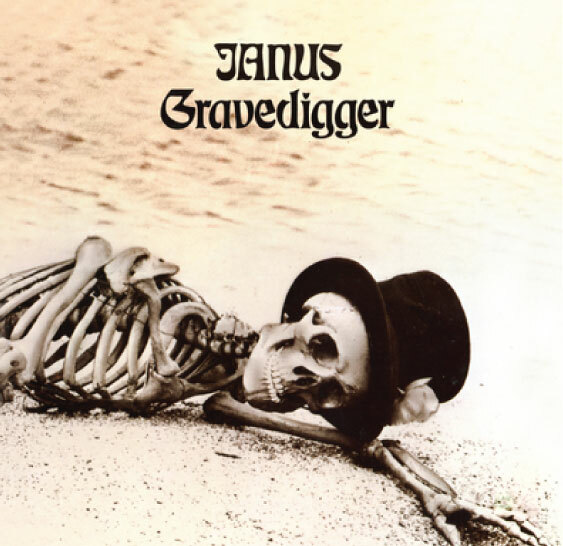 They released the legendary “Gravedigger” album, and one single, at the tail end of 1972, but then went into self-destruct mode, by burning through their advance royalties in a 12 month party, which may well have achieved an even greater legendary status than their debut album. GRAVEDIGGERS HOUSE CALLS WELCOMES PAUL PHOENIX! The chances of one of the worlds leading classical tenors singing a rock song about pies with a legendary 1970’s prog rock band would seem slim. But here you are. 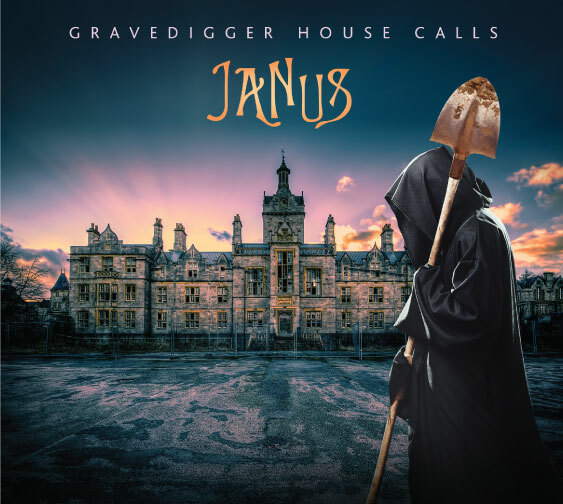 Created for “Afraid of Sunlight Records”, founded and headed by Gert Gliniorz, the ex EMI Harvest Label Manager, ‘Gravedigger House Calls” is another journey through the twisted song-writing skills of Janus guitarist and founder, Colin Orr. There’s rock, ballad, classical, and plainsong, in the mixture that Janus fans know so well, from the earliest albums, and particularly from previous collaboration with Paul Phoenix, such as 1990’s chart success “Agnus Dei”. The album artwork features some of the pictures taken by urban explorer Alex, which is a perfect backdrop for the darkness and desolation of some of the music (apart from the pies). This album is part 1 of a mega-Janus release, the second part, “The other face of Janus” features an additional 10 tracks, and the planned double vinyl release will gather all the tracks together, with the great artwork, and bonus material, due out end January 2017. Here’s a video clip of “Wooden Spoon” from the new album, and for viewers in Germany unable to access YouTube, here’s a link to download a lo-res version of the clip. 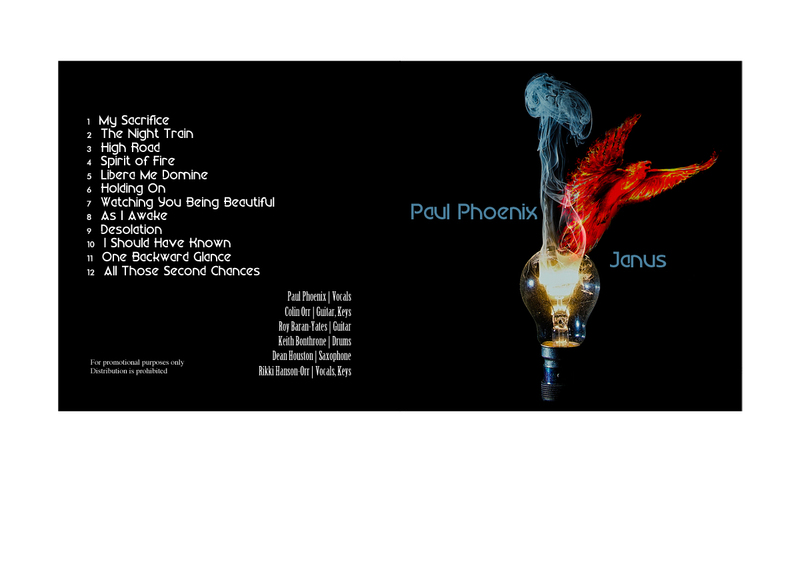 All Janus albums are eccentric and eclectic, but House Calls reaches new heights of the bizarre, with Paul Phoenix, one of the worlds leading classical tenors, singing rock, including a song about pies. Gravedigger House Calls is being released in two parts, the September 2016 release, then another full CD and complete vinyl with the second digital release – 23 tracks in all. Get your copy on itunes! 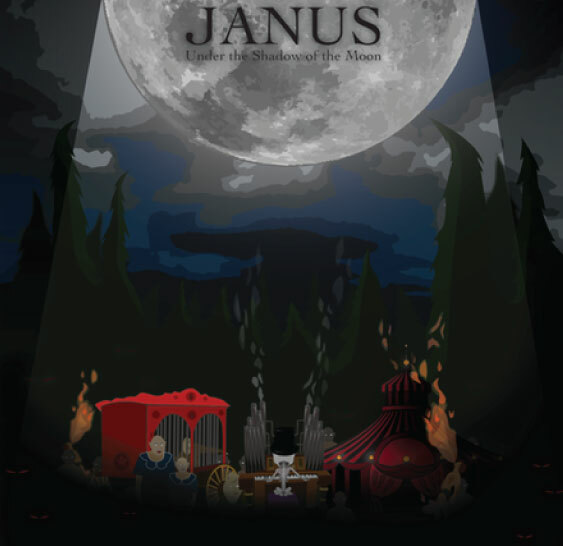 Recorded in July/August 2016, featuring the usual eclectic mix of Janus songs – everything from out and out rock, to gentle ballad, with a diversion or two to Eastern and Celtic themes. Their album Under The Shadow of the Moon was originally planned for 1973. Many years later, it has become a reality. Under The Shadow of the Moon begins with the title track, an ambitious 21-minute suite. It contains a series of music vignettes, most of them instrumental where you can find exquisite progressive-symphonic rock, bits of Floydian space rock, jazzy saxophone, a few Beatles-style orchestrations and also less interesting hard rock. This is the original 1971 album, which has been superseded by the new 2013 EMI Harvest release, “Gravedigger The Re-Issue”. It includes both a remastered and remixed version of the album, plus original 1972 Janus single and unreleased bonus tracks.